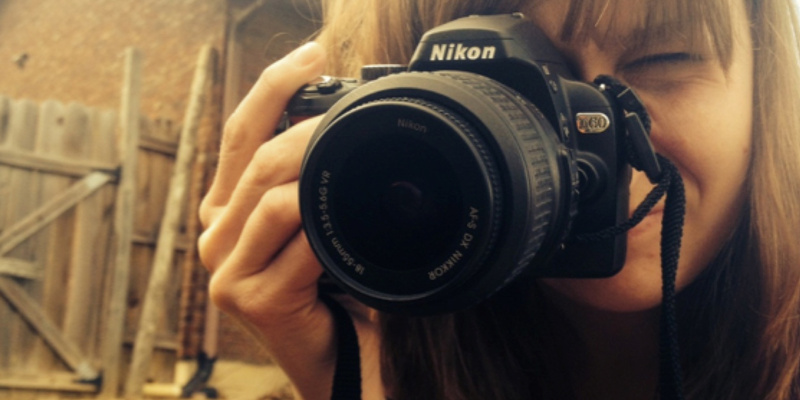 This course introduces students to fundamental photographic skills. Camera care and operation, black & white film exposure and processing, and darkroom printing techniques are covered in this course. In addition, class critiques and lectures will provide students the opportunity to begin to develop visual skills and a critical vocabulary, necessary to progress to the intermediate and advanced levels. Students are required to have a working 35mm camera with a built-in light meter and manual operation options. As well as continuing the development of basic camera and darkroom skills, this course introduces students to alternative photographic processes. Demonstrations, lectures and projects will direct students in processes such as Polaroid transfers, pinhole photography, digital imaging, and other alternative applications. Through conceptually based assignments and class critiques, students will further develop their understanding of photographic theory while exploring this wide variety of applications. (a) Photography II: Alternative Processes: Exploration of contemporary color photographic techniques. Theoretical and historical issues will be covered. Students must supply a working 35 mm SLR or digital SLR camera with manual controls. (b) Black and White: Exploration of traditional B and W photographic techniques on an intermediate level. Students must supply a working 35 mm SLR or medium format camera. Cameras must have manual control options. Although offered through the Photography Program, it is not necessary to have traditional photographic experience to take this class. Through technical and theoretical lectures and conceptually challenging projects, students explore digital technology and its applications as a fine art medium. Heavily focused on but not limited to the Photoshop application, students may employ a variety of time based and non-time based applications while creating individual solutions to assignment-based projects. Students must have basic computer skills on a Macintosh platform. Prerequisite: ART 302a and ART 412. Advanced Photography can be taken for credit up to three times. The first time around students are required to complete assignments designed to navigate them through various genres of the photographic medium. Documentary photography, large format photography, studio lighting, landscape, and architectural photography are explored throughout the semester. After successfully completing the class for the first time, emphasis is placed on portfolio development, a necessary element for graduate school and job applications. Through this process students further develop their own direction and voice as visual artists. Prerequisite: ART 302a and ART 302b. Advanced seminar exploring personal portfolio development, contemporary theoretical and conceptual issues, as well as developing critical writing skills as they pertain to the photography medium. Prerequisite: ART 302a or ART 302b. Intensive study and exploration of photographic techniques, approaches, and aesthetics on the graduate level. May be repeated to a maximum of 18 hours. In depth study of historical and contemporary issues as they pertain to the photography medium. A wide range of theoretical and conceptual topics will be explored. May be repeated for a maximum of 12 hours as long as no topic is repeated.